Coffee plus charity equals awesome! Local cafes are the best sort of cafes, but when you mix that with charity the result is epic. Lydia’s Coffee Shop is a Christian run café that is based in Gretton, Northamptonshire. The café is mainly run by volunteers, and the majority of the proceeds received are donated to various Christian charities. Since 2007, Lydia’s Coffee Shop has welcomed customer’s from near and far. It also serves as a great place for locals to catch up over a coffee and a piece of cake. The café offers a great lunchtime menu selection with paninis, sandwiches, soup and jacket potatoes to name just a few, which you can enjoy Tuesday – Saturday 10 AM-4:30 PM. All the food is freshly cooked and prepared on site. Lydia’s Coffee Shop is much more than a café; it is a place to meet new people and even discover a religion you knew nothing about. There is also a soft play area so parents can have five minutes all to themselves… Ahh, heaven. Recently Lydia’s Coffee Shop revamped their prayer room which is now fully available to use should you wish to. They hold regular Alpha, Bible study and breakfast groups which everyone is welcome to attend. If you’re in a rush and can’t stop to sit down, have no fear – Lydia’s Coffee Shop offers a takeaway service for all you busy bees out there. Just let the person at the counter know you want to take your food away with you, and they’ll be more than happy to wrap it up to have on the go. Along with Bibles, Christian books and other goods from local crafters, Lydia’s Coffee Shop now serves Two Chimps Coffee! Woo! They have chosen The Tiny Horse from El Salvador which is an incredibly moreish full-bodied coffee with a biscuit sweetness. For this particular coffee, we would recommend using an Espresso machine which is how your coffee will be served at Lydia’s Coffee Shop. Delicious with a slice of cake… or two! 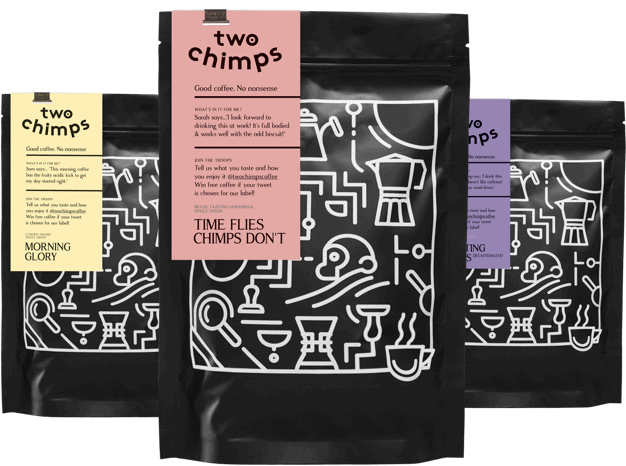 Here at Two Chimps, we hand roast all of our coffee in small batches at our on-site roastery. We deliver to Lydia’s Coffee Shop weekly or as and when she needs it. Doing this will ensure our coffee is as fresh as possible for all of you lovely people to enjoy. Our speciality coffee offers its drinkers a taste sensation that will not disappoint. Intrigued…? all our coffees are available to sample in 50g bags from our website so that you can find your favourite. Don’t take our word for it? Try one of our coffees for yourself.